Since bursting onto the scene only a few short years ago, tyDi has already achieved more than some can say in a lifetime. During the start of his journey, this extremely young musician was busy balancing his musical career and his studies, graduating with a music degree from the prestigious Conservatorium of Music and releasing his critically acclaimed debut album 'Look Closer when he was only 19. The classically trained musical mastermind is responsible for creating the chart topping album 'Shooting Stars, which reached #4 on iTunes in the USA, as well as #1 in Australia, Canada, UK and Finland. Despite being voted 'Australias #1 DJ two years in a row, he has also been voted in the Top 100 DJs of the World for the last three years. He currently resides as the #48 top DJ in the world. The humble Aussie has also been honored the International Dance Music Awards 'Best Break-Through DJ of the World award presented by Tisto. tyDis weekly, worldwide radio show, 'Global Soundsystem reaches to over 30 countries on FM radio and can also be streamed as an iTunes podcast from anywhere in the world. Among all of his music videos released, combined viewers have reached well into the millions and growing. tyDis rise to global stardom has attracted interest from media well outside the world of electronic music, with full features in Young Hollywood, Rolling Stone Magazine, and music video rotation throughout Nordstrom department stores in the USA. His single, 'Acting Crazy from his album 'Shooting Stars has also gained recognition from Top 40 terrestrial radio stations in the U.S. and is in daily rotation at multiple stations. 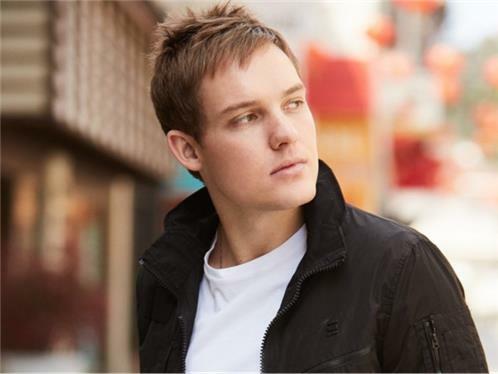 Even with his busy tour schedule, writing sessions, and radio show, tyDi manages to maintain all of his social media outlets and personally engage with his fans from all over the world. Most of all, he is a musician at heart, forever aspiring to improve musically and produce only the highest quality of work.